If diversity in adversity and isolation, defines the fauna and flora of Japan. Japan’s geological history, shaped by major subterranean forces as it rides the confluence of four major and minor tectonic plates, means that the archipelago has had a very chequered history. Add to that chequered history a stretched geography, intense seasonality, and a regional variation in climate, and it is a recipe for tremendous biodiversity. There are gradients in biodiversity as one moves through Japan. Whereas the prefecture with the highest number of mammal species is Hokkaido, in the far north, the prefecture with the highest number of reptile and amphibian species is Okinawa in the far south. This area with its year round warmth, and relatively high humidity provides just the right conditions for these groups, and whereas Hokkaido supports only a handful of species, it is possible to find that many species in a night in Okinawa. 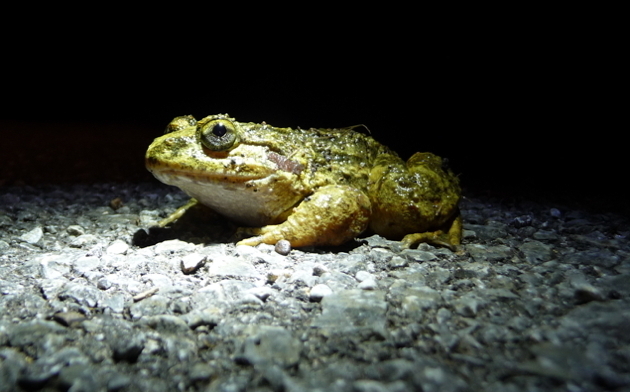 The rainy season (May-June) and the warm summer months are the best times of year to seek out Japan's reptiles and amphibians and while birding on Amami Oshima or in Yambaru, Okinawa, it is well-worth looking out for these creatures on the forest tracks at night – especially after rain. The frogs and salamanders are more active then because of the weather, and the snakes are more active because many of them are frog predators. More species will be added here in the future, but for the time being the first photograph is of Namie's Frog on Okinawa, and the second is of Amami Ishikawa's Frog on Amami Oshima. 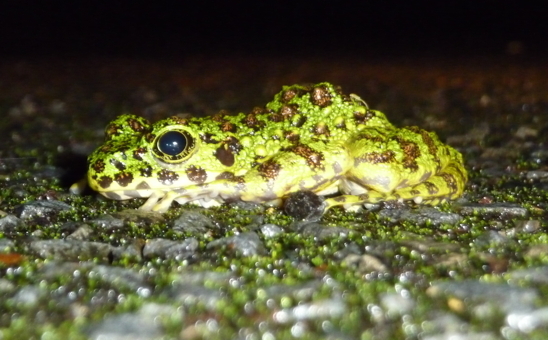 The latter, surely, is the most attractive frog species in Japan.